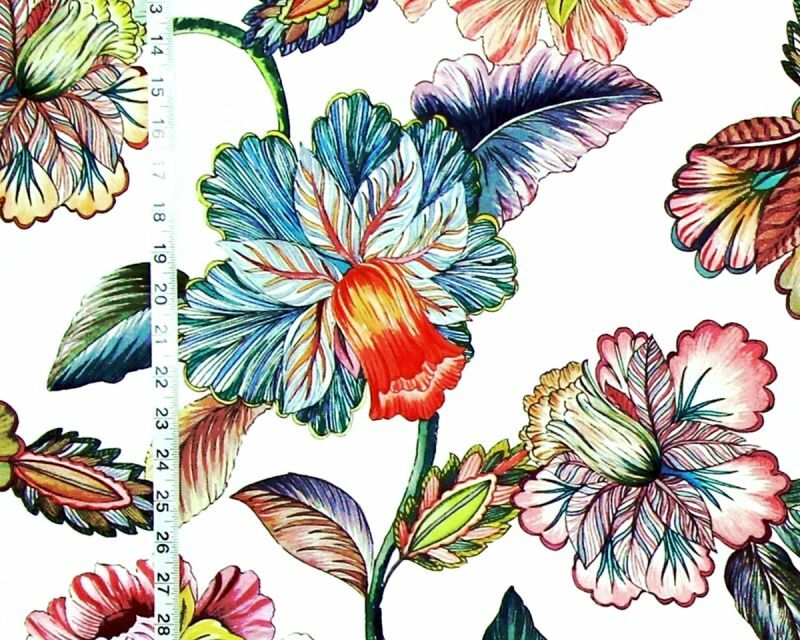 Two very unusual floral fabrics have come in. Like all of our fabrics these are home decorating fabrics. 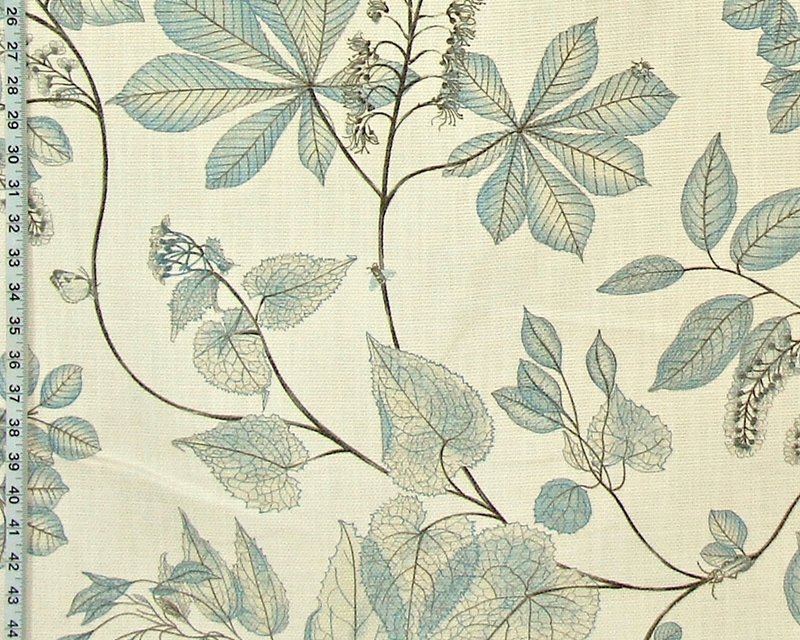 the other is a subtle, softly colored nature fabric. 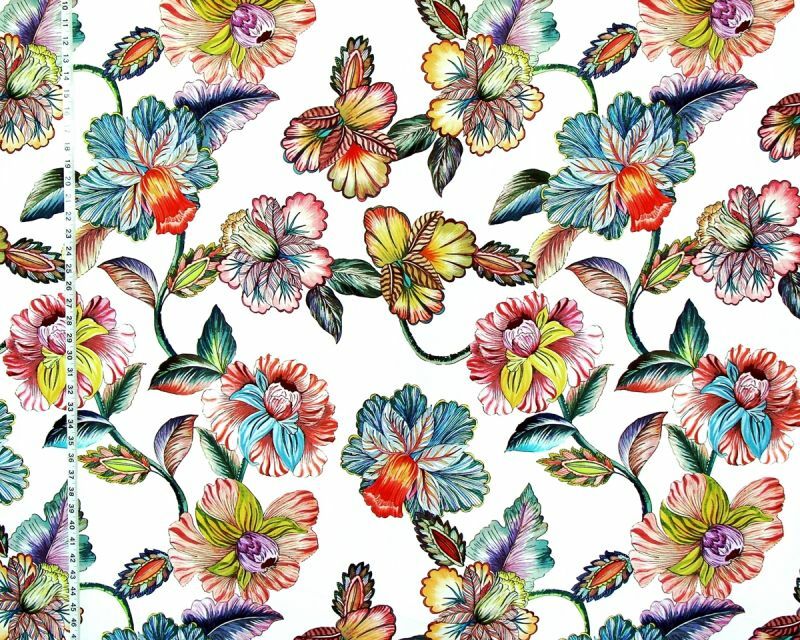 The first is a large floral fabric with colors that play off of each other- bold and pastel tones interact in a symphony of color that is most intriguing. The colors glow against an off-white background. It is stunning. This fabric is for someone who wants a bold, graphic look, with lots of color. A pillow against a black couch, with curtains, would make quite a decorating statement! A shower curtain of this would give a lift to any up bathroom. The other fabric is also unique. 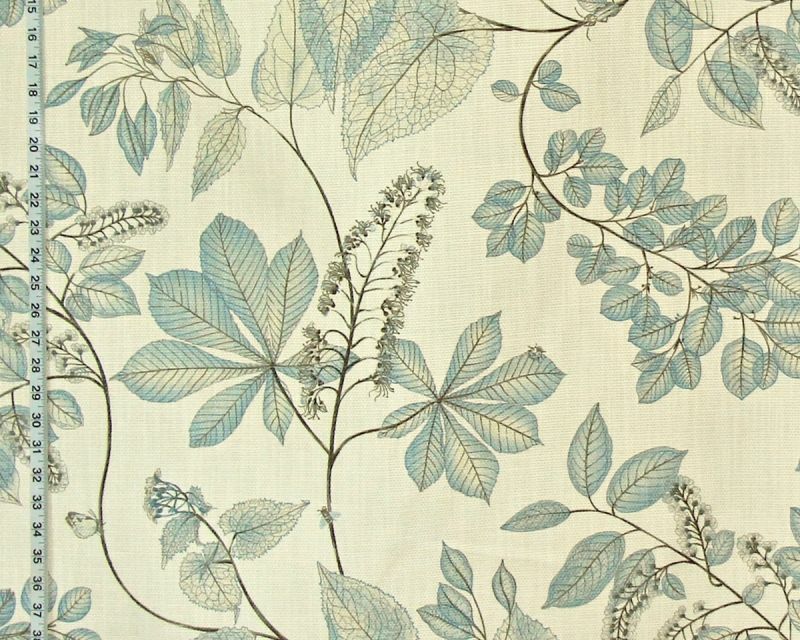 It is a beautiful nature fabric. Tonal mineral blue leaves and flowers rest on a buttercream background. This is reminiscent of meadow plants after the first fall frost. While there are still flowers blooming, some of the leaves have just their veins left. Small insects- a butterfly, ladybug, beetle and bee add interest. The ground cloth has a very heavy basket weave. The contrast between the delicate design and the heavy weave of the background gives this an added subtle interest.